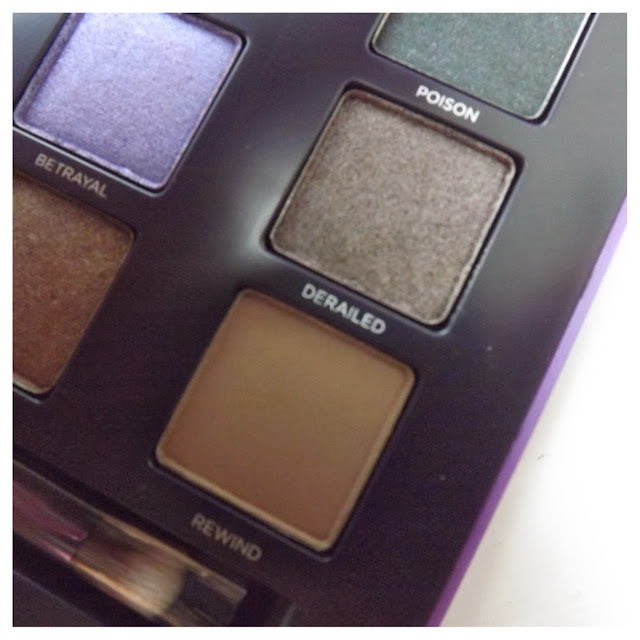 I decided to treat myself and delve into the world of Urban Decay this month. 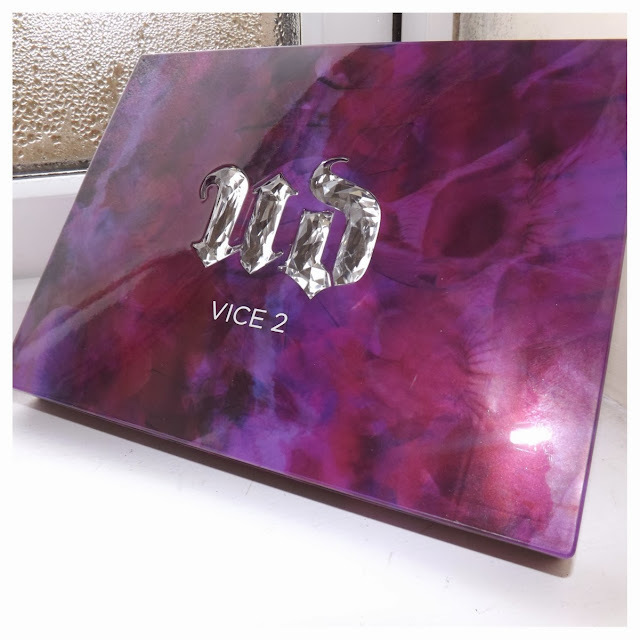 First it started with pre-ordering the famous ‘Naked 3’ and then getting the Vice 2 because I played Pass the Parcel on Beauty Bay’s website and won a £10 off voucher! Being so the Vice 2 was already reduced to £33.00, it meant that I got it for £23! 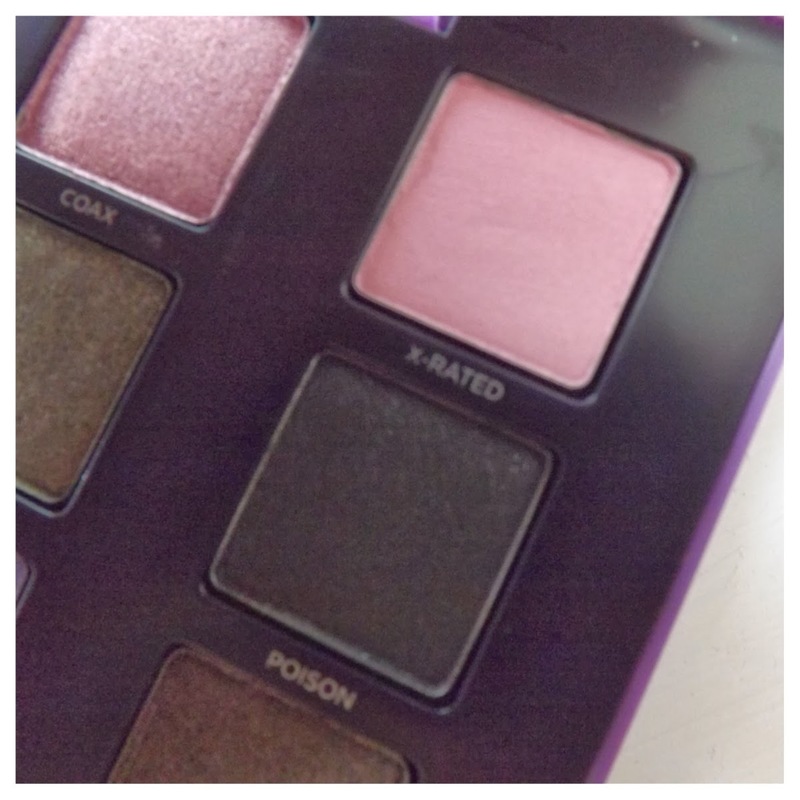 Bargain!! 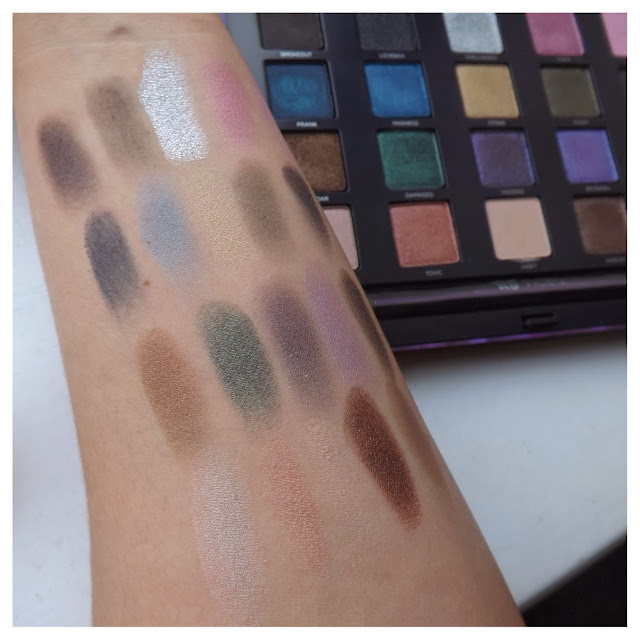 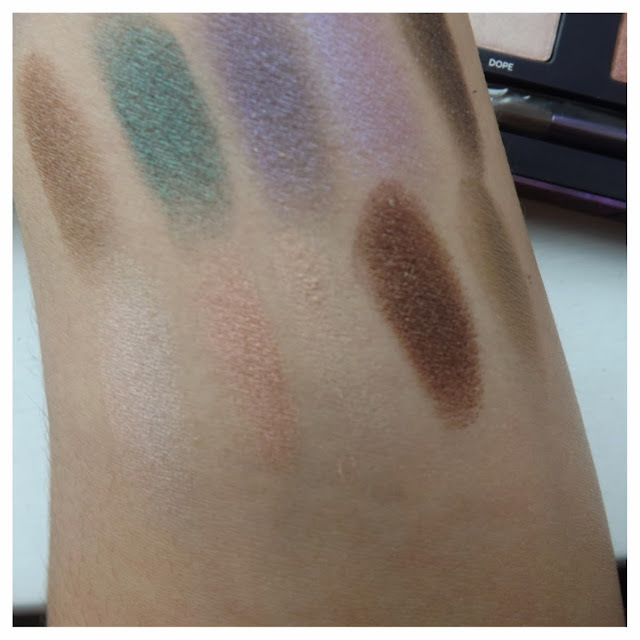 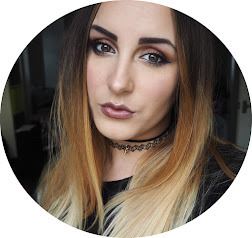 I’ve never tried any Urban Decay eyeshadows before but following the hype and love for the Naked palettes, I guessed they were pretty good and loved the look of the colours in the Vice. 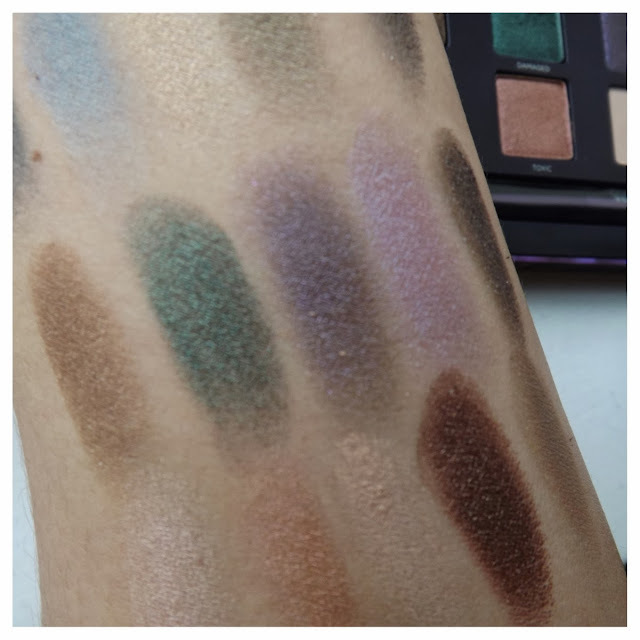 It has 20 shades - 2 being matte and the rest shimmers but from the swatches i’ve done, it looks like about 4 in total are more matte than shimmer. 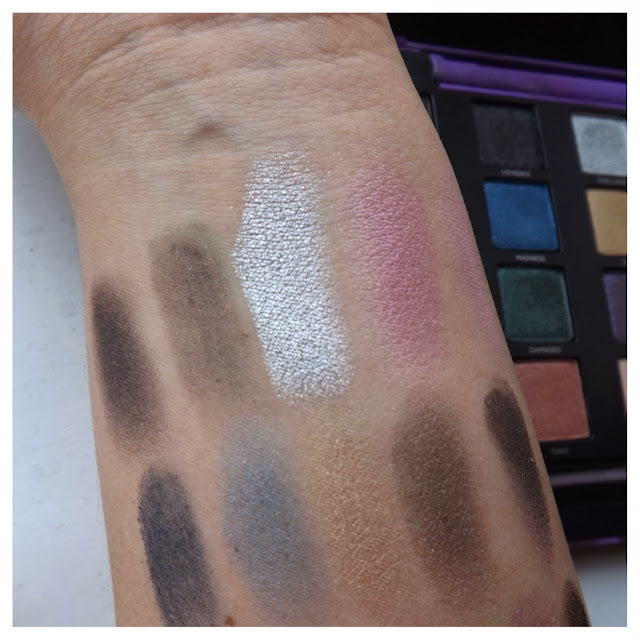 All of the shadows look really pigmented too which is a good sign - especially just from a quick initial swatch. 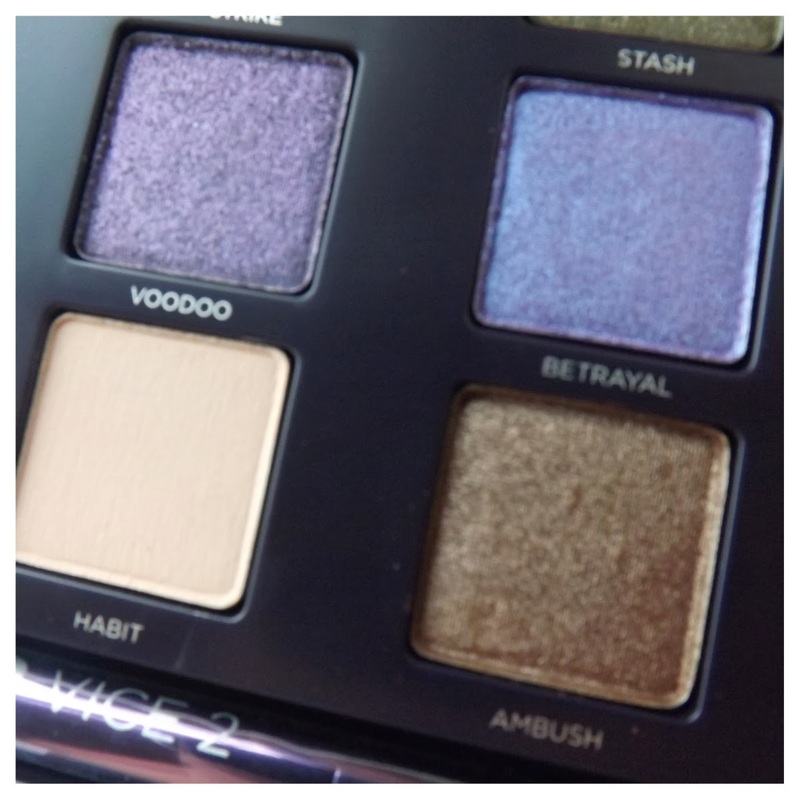 The packaging is amazing! 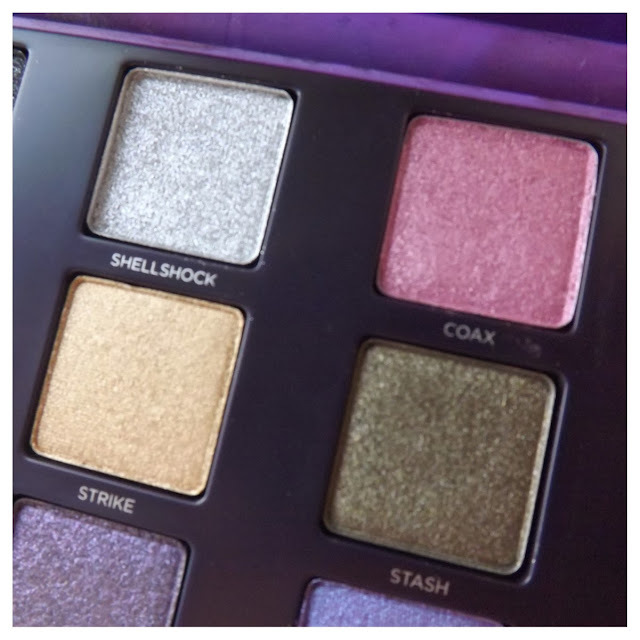 It’s like a magical box that needs angels singing when it opens! The clasp when pressed will slowly open the lid to reveal the shadows and on the front with the gorgeous, royal purple marble effect sits a diamond UD symbol. 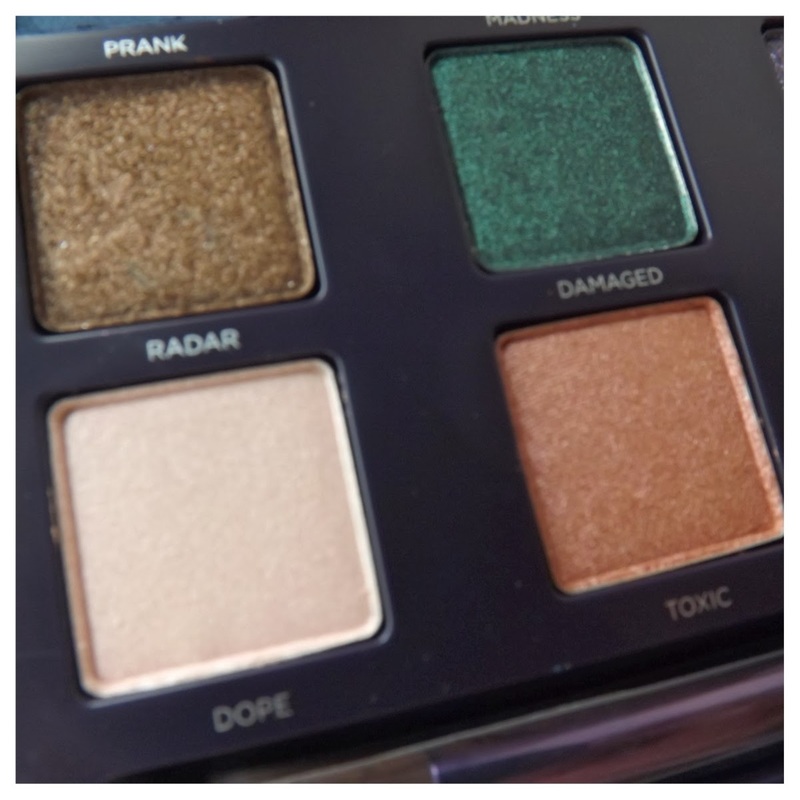 Even more amazing! 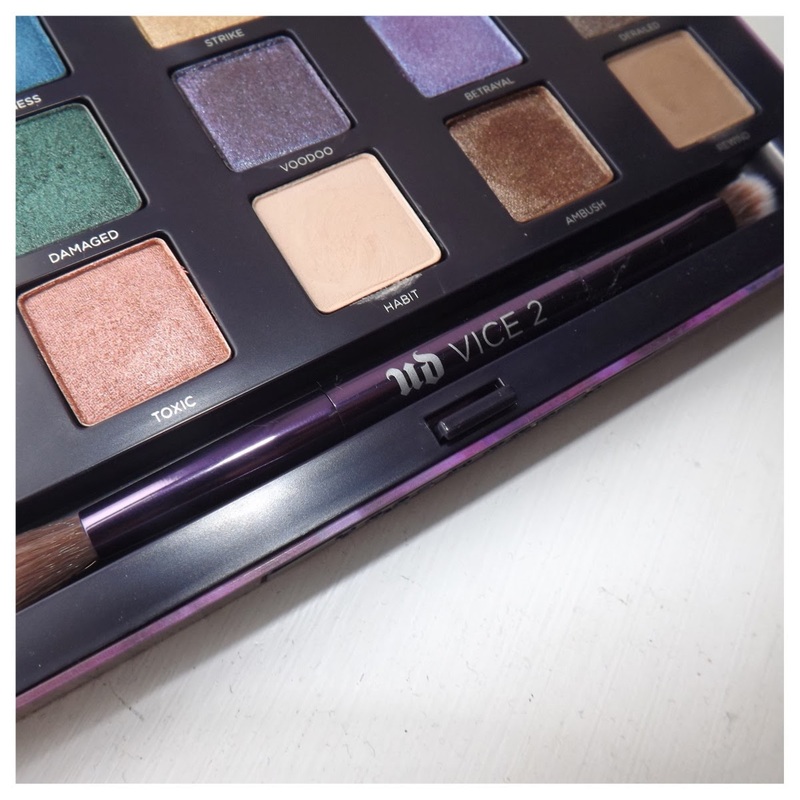 It comes with the famous Urban Decay double ended brush which is lovely and soft and very sturdy too and i’m looking forward to adding this to my growing collection of make-up brushes! 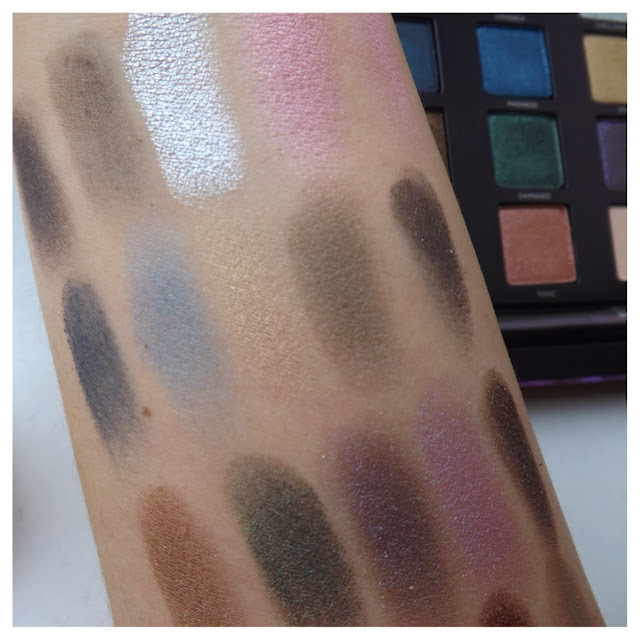 Swatches are of each row* From a quick swipe over the shadow and onto my arm, you can see how pigmented each and every one of these shadows is - even the lighter pinks are pretty pigmented for a light coverage! 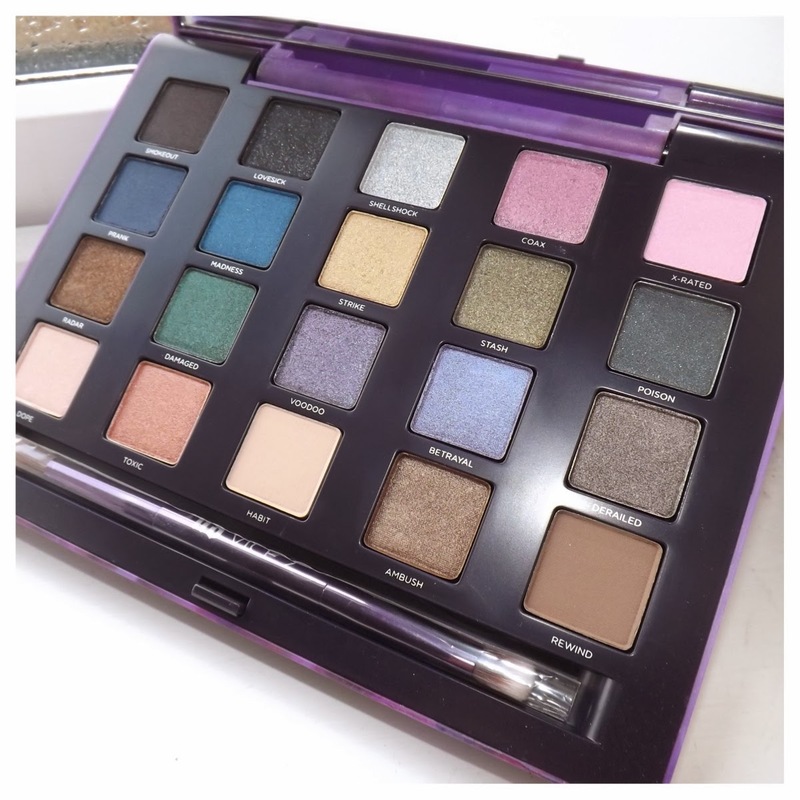 I can see myself getting lots of use out of this palette and being so I got it for nearly half price, it’s well worth it too! 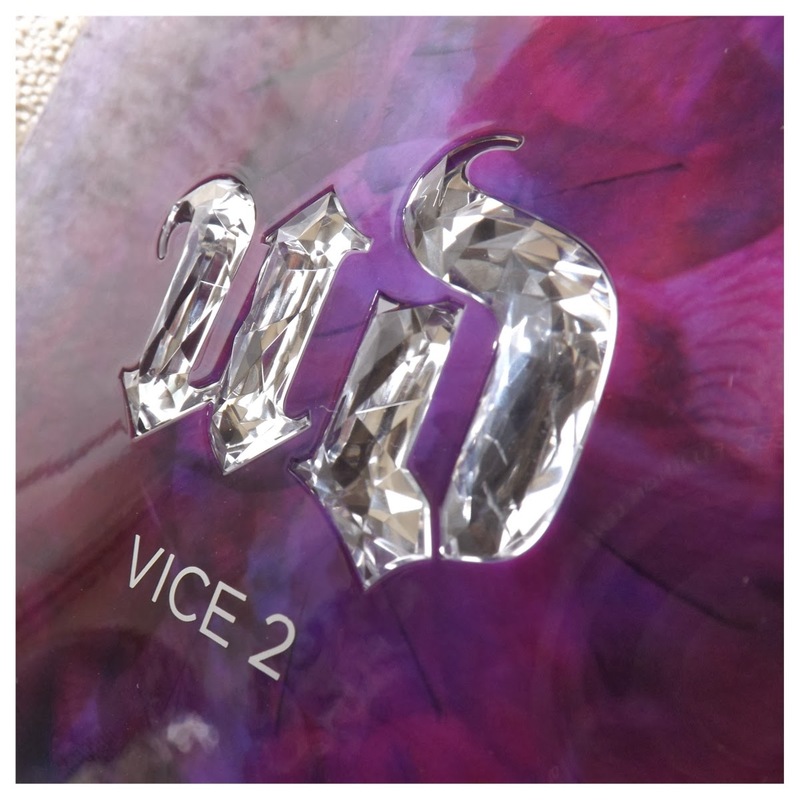 You can currently buy Vice 2 here for £33.60 and get an extra 10% off orders over £40.00 or here for £37.80. 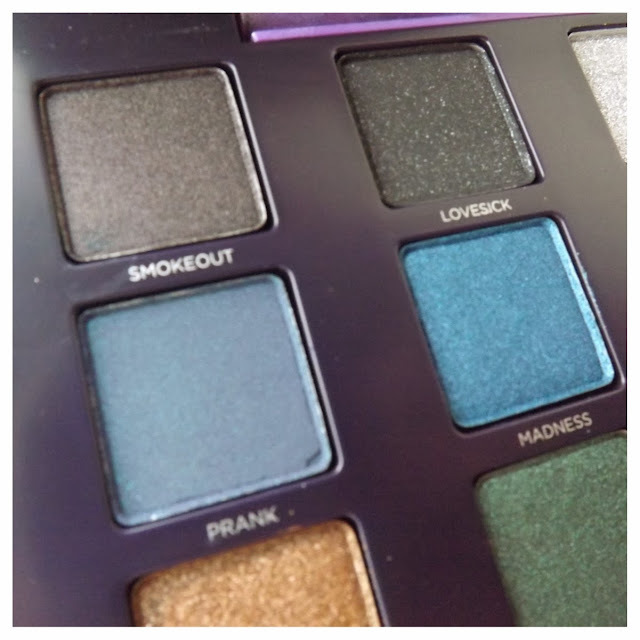 Look out for a review coming in the new year with a few looks too! 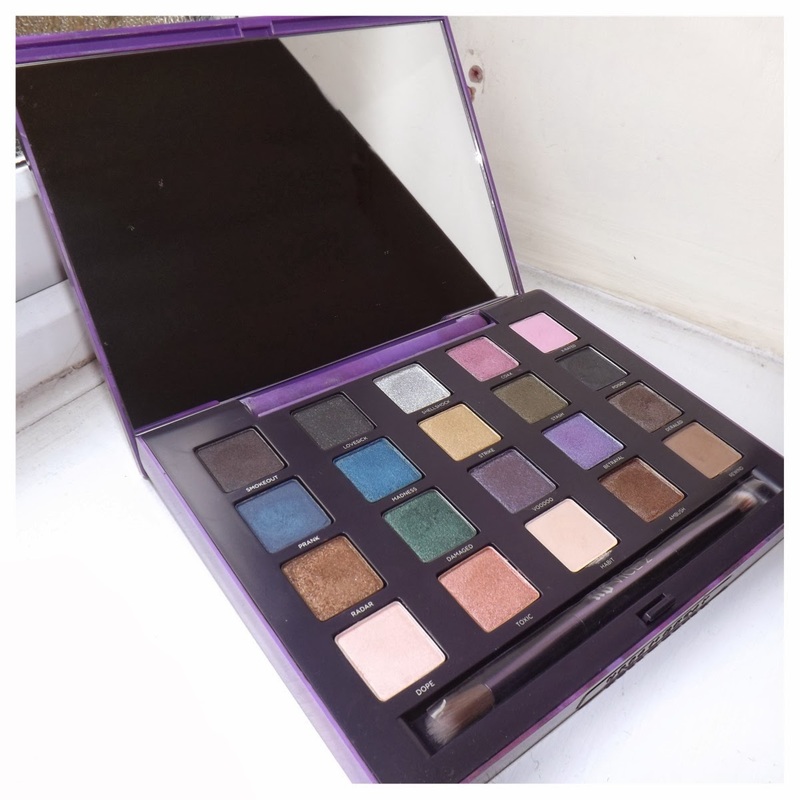 I have this palette I love it and am still yet to use all of the colours but silver is definitly my fab, so pigmented!